We know that you don't want to take chances with your technology, which is why we have a firm commitment to 100% customer satisfaction on every managed services project we oversee. Although IT Technology changes all the time, our promise to provide the industries best service and support will never change. We take care of your technology – so you can take care of your business. 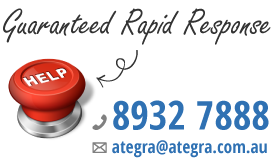 For over 15 years Ategra has provided the most reliable, customer-friendly IT service and support anywhere. We don't focus on specific plans and products as much as we do ideas and solutions. That's because we know you have enough to worry about running your organization and we want to make technology a source of answers and opportunities, rather than frustration and missed chances. What each of these industries has in common, is that they rely on precision and count on technology to be there when it's needed. That's important in almost any kind of organization. In one study by Gartner, businesses which switched to managed services agreements, experienced 50% less down time, achieving a 4.8% increase in revenue. As a result, we have been able to attract distinguished clients from throughout the Territory and Kimberley. While we work with companies and lots of industries, we are an especially great fit for those who value precision and reliability in their technology. Why not get a FREE IT Assessment, and find what the next level IT service is? Contact us today to find out how you can use managed services agreements to stop worrying about your technology, and put the focus back on your business.